SPOILERS AHEAD – YOU’VE BEEN WARNED! So, John Snow is dead, and they’re going to throw him onto a fire, just to be safe. That might work out a lot better than anyone imagines. One of the theories going around for the past year is that John Snow is going to be back brought back by Melisandre. She came back to The Wall after witnessing the downfall of Stannis, after all right? Well, that could just be a case of self preservation more than anything else, because up until now she’s been a true believer in Stannis being the reincarnation of “The Prince that was Promised”, the prince that would be back to lead the people against The Others. Since Stannis is dead, that’s out the window. John Snow’s dead too, so he’s probably not on her list either. But he should be, not that she’ll have anything to do about it at this point. We’re not really sure who John Snow’s mother really is. Ned Stark was going to tell John this, but died too soon to tell him. It’s quite likely that this was a secret for a pretty darn good reason; if it had been some random woman, there wouldn’t be much to keep secret in the first place. Chances are that he was doing this to protect him from being killed. Who would have wanted him killed, if his real mother had been found out? Robert Baratheon! He killed many of the people in House Targaryen and still considered the survivors a threat. Daenerys and her brother were taken at a young age and hidden away to protect them. What if John Snow’s mother was a Targaryen? Wouldn’t Ned want to protect his identity from Robert? Let’s say that’s true. The legend of “The Prince That Was Promised” he will be reborn again to challenge The Others. Well, to be reborn again, it either has to be done one of two ways… either he was a baby, grew up and then reveals his identity. That’s the Stannis theory Melisandre was working under. 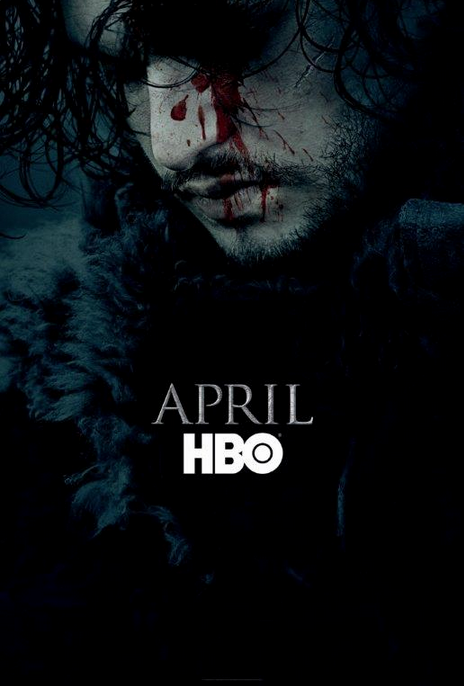 It could be that he’ll be brought back from the dead… and that’s where John Snow comes in. If John’s really a Targaryen, then throwing him into the fight might be the best thing for him. We saw Daenerys come out of the fire with dragon eggs… Perhaps John being set aflame (or attempted to be set aflame) is just the thing to bring him back? But if he’s really gone, what would come back in his place… well, my guess is that he transitioned into his direwolf Ghost as his body died. When his body is rejuvinated in the fire, he’ll come back out of Ghost into his body. When this happens, Melisandre will realize John is really “The Prince That Was Promised”. A Targaryen Prince. Sure wouldn’t want to be on the receiving end of John’s wrath when he does come back and confront the people that stabbed him. Anyway, that’s the going theory. We’ll see what happens tonight on Game of Thrones. PS. Bet Tyrion is really a Targaryen too, and he’ll end up being King. But that’s another post. I’ve held the theory that he’s still alive from the moment of his “death” last season. I’m still reading “A Dance with Dragons”, and something caught my eye that has happened in the books, but I’m not aware of it happening in the TV show. (I’m sure a commenter will correct me if I’m wrong). I don’t think it was Jon Snow that was stabbed by those men in the Night Watch. I think it was someone else. Now, follow me on this. The TV series has veered off from what the books do in a variety of ways, and a number of things are different. For example, Manse Rayder in the TV series dies, but in the books he’s actually been replaced with the help of Melisandre. She exchanges Manse’s appearance with Rattleshirt, and Rattleshirt is the one who dies. Manse goes off to try and get Arya. People have been questioning why Melisandre would go back to The Wall after what happened to Stanis. Why didn’t she just run off? Did she think her fate would be better with Jon? My guess is that she did realize that and wanted to help him. I believe that in the TV show, she casts a “glamour” on someone else to disguise them as Jon, and that’s the person who gets killed. (Just as she did for Manse in the book) Jon will emerge near the beginning of Season 6, and after a brief battle will exact justice on the men that attacked him. Anyway, that’s my guess. We’ll have to wait until April to find out if that really happens. Update: I finally finished “A Dance with Dragons”, and got to the point in the book where Jon died. I expected the chapter to be structured differently, given my theory about the “glamour”, but it was pretty much like the rest of the character centered chapters. The chapter ended with him not feeling the last dagger hitting him… so it’s a little tough to say how this is resolved, other than him being close to death and then revived.